5 of Ray's Funniest Videos all together at one great price! PLUS a FREE DVD of his "Politically Incorrect Songs". That's a total of 6 DVDS! Includes - 60 Music Videos....A Full Length Movie.... and His Live Stage Show, Over 6 Hours of Family Comedy Entertainment! Such A Night DVD: Ray Stevens live in Branson, MO. This DVD is a hilarious show with stand-up comedy routines as well as exciting award winning music. 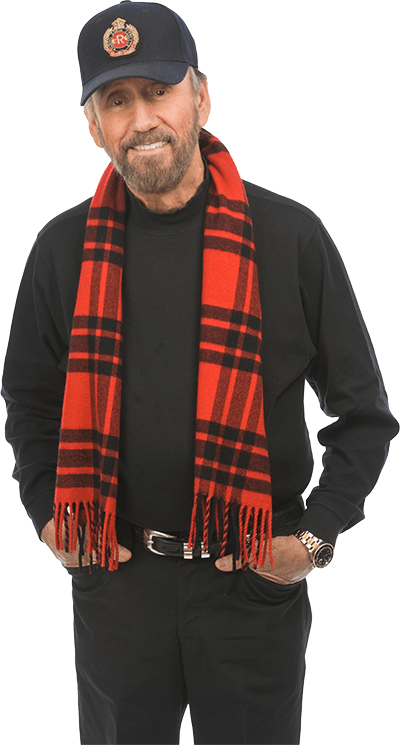 Complete Comedy Video Collection DVD: All of Ray Stevens' outstanding comedy videos on 2 DVDs in one package. Great entertainment for young and old. 1. Ahab The Arab, 2. Gitarzan, 3. The Streak, 4. The Mississippi Squirrel Revival, 5. Sittin’ up with Dead, 6. Shriner’s Convention, 7. Help Me Make It Through The Night, 8. It’s Me Again Margaret, 9. Santa Claus Is Watching You, 10. Everything Is Beautiful, 11. Thank You - BONUS VIDEO, 12. The Ballad Of The Blue Cyclone (Part 1), 13. Virgil And The Moonshot, 14. Juanita & The Kids, 15.Too Drunk To Fish, 16. The Haircut Song, 17. The Pirate Song, 18. Freddie Feelgood (And His Funky…), 19. The Ballad Of The Blue Cyclone (Part 2), 20. Hello Mama - BONUS VIDEO. Get Serious DVD: Almost two hours of RAY STEVENS and a cast of comedy characters in his musical movie adventure. Guest appearances by Chet Atkins, George Lindsey, Jerry Clower, James Gregory and others. Ray is pressured by a maniacal Record Company Executive to cut out the Comedy and "Get Serious". It's a fun-filled hilarious romp through a bad dream that starts when Ray slips on a banana peel and all kinds of monkey business ensues. FREE Internet Video Hits DVD: Contains 9 political videos and 1 video that is just perfect for Christmas! You've seen these videos on YouTube, with over 13,000,000 Internet views. You asked for these videos and now you can have your very own DVD. 1. God Save Arizona, 2. Come To The U.S.A., 3. We The People, 4. Caribou Barbie, 5. Mr. President - Mr. President, 6. The Global Warming Song, 7. Throw The Bums Out, 8. The Skies Just Ain't Friendly Anymore, 9. Obama Budget Plan, 10. Nightmare Before Christmas.